Give your Camaro a modern look by fitting it with a set of clear LED sidemarkers. 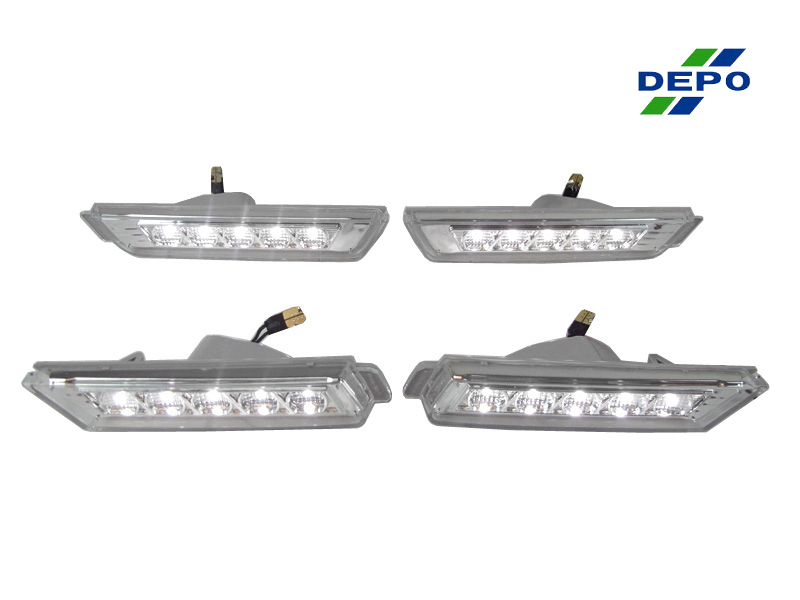 These LED sidemarkers illuminate in white both front and rear and feature a clear lens. The LED unit is designed for plug and play - just remove the bulb from the sidemarker socket, then install the socket insert in place of the bulb. Align the black wire side of the socket with the black wire side of the insert to ensure correct polarity. Sold as a 4-piece set. Get LED Sidemarkers for Camaro at ModBargains. Modification Experts ready to help. Questions about these LED Front & Rear Sidemarkers for Chevrolet Camaro? Our Modification Experts are standing by and available to help you, online or by calling 714-582-3330. ModBargains also offers expert installation and can install this upgrade for you. Call today!